Somewhere in my Twitter drafts lies a tweet along the lines of “Roberto Martinez wants to make me feel like I’ve been aiding and abetting fraud“. How else does one sum up the regression that has plagued his Everton side taking them from one of the more exciting teams last term to the biggest underachievers this season? Let’s not forget the significance of his side’s triumph(s) over Arsenal and Manchester United at Goodison Park last year. When David Moyes’ side were dismissed comprehensively, the Scotsman found himself on the doors of unemployment days later. It was that classic Football Manager moment where an under pressure manager loses a big game which causes the trigger to be pulled. After beating Arsenal 3-0, the narrative was that Everton had the upper hand in the #racefor4th and that Arsenal could do worse than put the Catalan in place as Wenger’s successor. This season, Everton have been bottom or close to the bottom of the defensive stats (interceptions, tackles, errors leading to goals etc). The back four that includes Tim Howard and Sylvain Distin is creaking loudly whilst teams have clued up to pinning their bombing full backs Leighton Baines and Seamus Coleman in their own halves. Ross Barkley has shown the one standard of youth: Inconsistency and the decision to spend the entire budget on Romelu Lukaku and his atrocious first touch looks highly negligent. Weeks ago, one rumor was that Steve McClaren was being looked at as a possible replacement. It also stands to reason that the injury record is very questionable. Oft cited as one of the game’s fitness visionaries stemming from a degree in Physiotherapy and his quote (Hi! Raymond Verheijen) that every soft tissue injury can be avoided, his Everton side have been plagued by a bizarre glut of hamstring injuries (20 since he joined Everton). In a nutshell, that encapsulates the downside of Martinez: he is a good orator and provides good sound bites but sometimes, they are reality defying. One point made by Danny Higginbotham is that Martinez has benefited from his tenure at Wigan where his team usually started playing well after Christmas as they stared down the barrels of relegation and that because he encouraged his side to play the “right” way, he failed to receive as much scrutiny as he should. It also helps that the season his team eventually got relegated, he won a Cup final against a Manchester City side intensely frustrated with Roberto Mancini’s tight reign. Bringing their losing streak to a halt against City was a good start but more questions need to be asked from the blue side of Merseyside. A look at the football climate will tell you that decent centre backs are scarce. In the summer, a lot of the world’s biggest clubs needed centre backs and the decisions they made speak volumes. Barcelona opted for the average Jeremy Mathieu and the crocked Thomas Vermaelen who is unlikely to make his competitive debut this season. The fact that this was done with an impending transfer ban hanging over their heads says even more. Arsenal on the other hand failed to replace Vermaelen and have opted to field the green Calum Chambers in a secondary position. Manchester United bid for Vermaelen and ended up promoting Paddy McNair and Tyler Blackett to first team duty. Chelsea passively sought a third centre back to challenge the Cahill/Terry axis and opted for the already on their books Kurt Zouma which when balanced against the backdrop of Jose Mourinho’s lukewarm nature to youth looks like a decision made as a marriage of convenience. Liverpool spent a significant sum on Dejan Lovren whose credibility is undermined by the poor time he had at Lyon before joining Southampton. Paris Saint Germain made us wonder what the hell they were smoking when they funded Chelsea’s summer spend by spunking £50 million on David Luiz. Manchester City needing a centre back to ease the burden on Vincent Kompany opted to make Eliaquim Mangala one of the most expensive defenders ever. Piercing the bureaucracy veil, Mangala’s true cost stands at €53.8m. This is the same Mangala who can’t get a start for France with Mamadou Sakho (who can’t get a game at Liverpool over the ageing Kolo Toure), Raphael Varane and Laurent Koscielny seen as superior. It’s possible that Mangala might be getting to grips with the English game but the brilliant Daniel Taylor of the Guardian reports that United looked at Mangala and the scouting report indicated he was a “cross between Jean Alain Boumsong and Joseph Yobo”. The manner in which he was given the run around by Lukaku corroborates that. The guys at Sporting Intelligence who examined the costs of defenders in 2013 and 2014 showed that the spend ratio for defenders in that year went from £4-9.3 million to £6.8-10.3 million. That sharp turn highlights how the art of defending is dead. Since Marcelo ‘El Loco’ Bielsa took his high pressing and obsessive tactics to Ligue 1, Marseille have had the upper hand in the race for supremacy. Lyon being pushed by the talented Alexandre Lacazette hint at a return to the glory days of the early to mid Noughties. These all contribute to indict Laurent Blanc who has failed to live up to the expectations that his past Ligue 1 triumph with Bordeaux, Marouane Chamakh and Yoann Gourcuff placed on his shoulders. 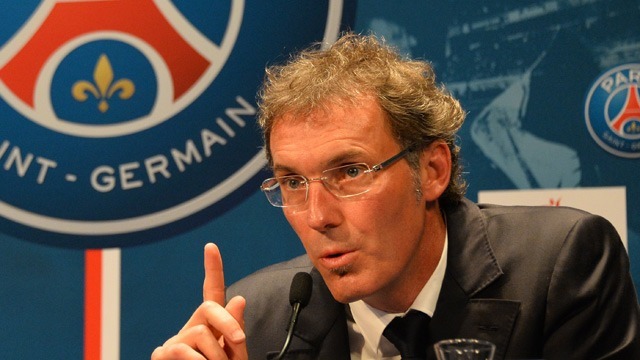 At every stage this season where Marseille have faltered, PSG have failed to capitalize. Losing to Bastia was bad enough but the significance of that loss lies in the fact that since the Qatari’s took over PSG, the most recent match day marked the first time the club has been out of the top 3 after Christmas. Rumour has it that he is not respected by the players which would go on to provide context for the recent clash with Ezequiel Lavezzi and Edinson Cavani. The talk is that he will be out of a job in the summer and it can’t be said that he has done anything to help his case. Who else could follow a win over Chelsea by throwing away a lead at one of the worst sides in the league without two of their best players (Yannick Bolasie and Mile Jedinak away on international duty)? Only Tottenham Hotspurs could do such. A word for Harry Kane who’s surely now odds on to win the Young Player of the Year award. 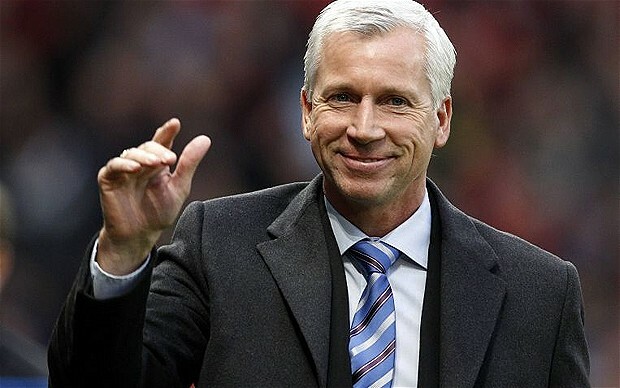 In what was effectively the Alan Pardew derby (he played for both clubs), Pardew got his Selhurst Park return to a cracking start. He seems to have the air of a man who’s enjoying being loved after the toxic reception he received in Geordie nation and this was reflected by the manner in which he blew kisses to the teeming fans. Selhurst Park seems to have rediscovered the atmospheric verve that had been diminished by Neil Warnock and his dated tactics. When Francesco Totti, one of the great one club men celebrated equalizing in the local derby by taking a selfie with the fans Twitter went into meltdown with some old, grumpy journalists bemoaning the modern, technologically obsessed ways. Get over it, Totti is royalty and he can do as he pleases. Scoring an equalizer in your hometown derby should be a high point and celebrated as such. It’s a game of football after all and not a race for political office where brownie points are handed to those who cause the least offence.